Already at an early stage, Tomas Weiss built a deep connection to many different musical genres. From 1997 to 2006, he worked as an electronic DJ in several national/international clubs and was a regular moderator on different radio stations. During this time he also owned the store "el culto" - a vinyl shop specialized in electronic music. In 2005 he finally finished creating his own studio and gradually moved his musical career towards composing, producing and mastering. He also slowly transformed el culto into a „musical portal“ with several linked sub-labels, with an increasing focus on Ambient/Space/Drone music. 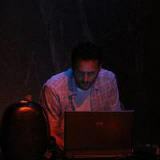 Numerous projects and collaborations like Nautic Depths, Aestrata, Quiet Calling and El Hadra followed in reflection of his aim to create high quality music, exploring and breaking artistic boundaries - his releases now span many different styles including Ambient, Electronica, IDM, Progressive-House, Classical, Experimental as well as many unusual genre combinations. In 2015 he composed the complete Original Sound Track for „Cafe Journal“, an independent movie by the Romanian director Ciprian Brasoveanu. 2017: „Deep Colours“, the radio show by el culto, moderated by Tomas Weiss. This is also the title of a new project, through which Tomas will release deep and hypnotic electronic music that combines various elements of his musical background so far.